Crews were well-equipped with machines for the job. 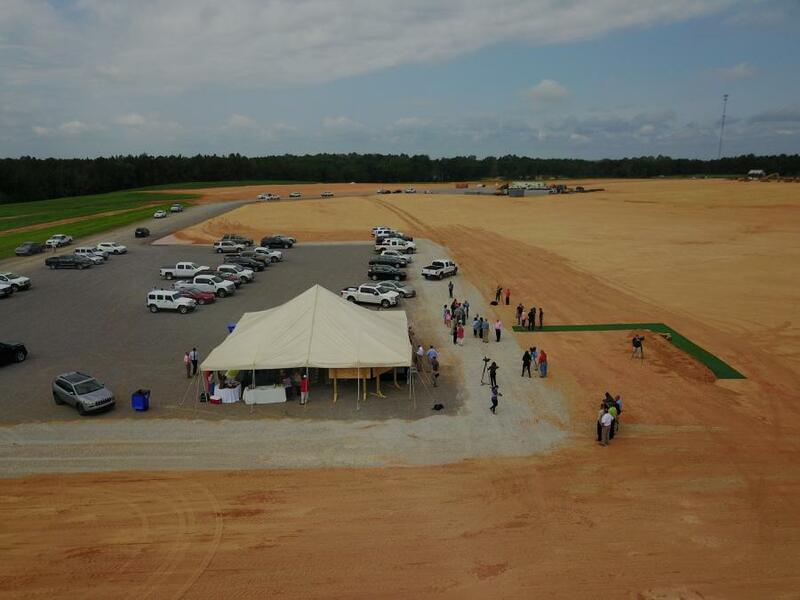 Construction on a $110 million new Rex Lumber sawmill and dimensional lumber production plant in greater Troy, Ala., started on July 17, 2018, and is expected to be completed in the spring of 2019 with operations beginning in June. The 80-acre earthwork and site preparation was recently completed in 46 days by W.S. Newell & Sons Inc. The new facility is expected to create around 110 jobs and operate with two 40-hour shifts, producing more than 240 million board ft. annually. The plant is permitted to produce 360 million ft. per year. Rex Lumber additionally owns and operates three sawmills in Florida and Mississippi, which produce more than 575 million board ft. per year. 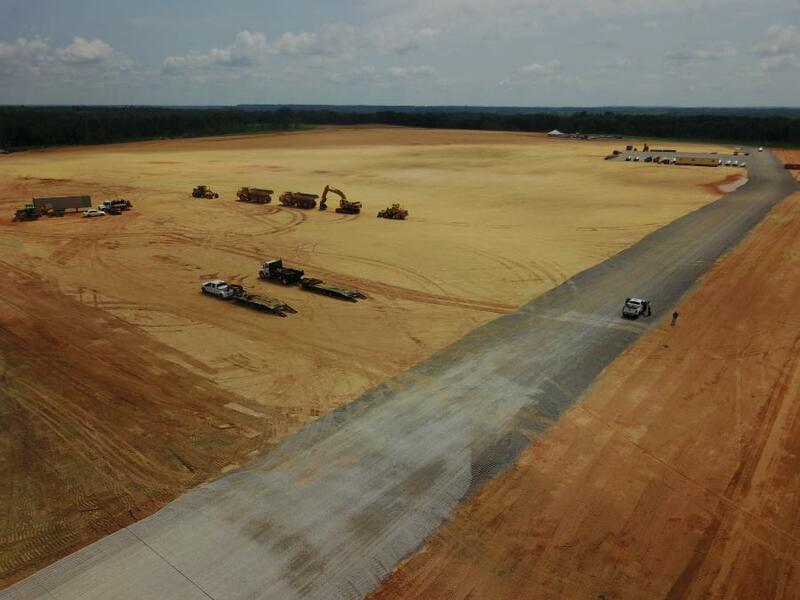 The project also will see the construction of a new three-lane industrial access road (2,700-ft. long) funded by the Alabama Industrial Access Committee and the Alabama Department of Transportation, as well as the resurfacing of 2.5 mi. of Orion Road to U.S. 231 just north of Troy. More than 140 log trucks carrying heavy loads are expected to go back and forth from the mill daily, as well as a similar number of additional trucks hauling finished lumber products and the by-products chips and bark. A $1 million Community Development Block Grant (CDBG) is covering the cost of the 5-mi. resurfacing, with the Pike County Commission contributing an additional $500,000 to the project. The road work is expected to start in spring of 2019 and be completed in June of 2019. 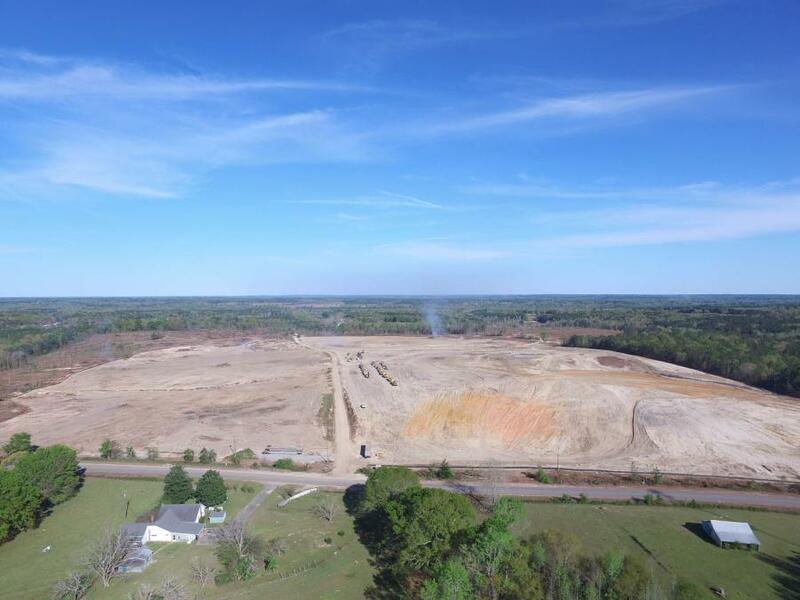 The plant, located on a 294-acre site, will have a 150,000-sq.-ft. sawmill; two lumber storage facilities (90,000-sq.-ft.) and three large continuous feed dry kilns, as well as a small office building and facilities to park trucks and three weigh stations — one for arriving cargos and two for outgoing cargos. The BID Group, which specializes in sawmill construction from start to finish, including the equipment and its installation, is building the facility. The sawmill will consist of a concrete foundation and be clad with steel and have a steel roof. The steel framing is being provided by American Buildings. The earth work operations, undertaken by W.S. Newell & Sons Inc., began on March 22, 2018, and were completed by June 1. “We were under a lot of pressure to get the site ready for construction by June 15,” said Banta, “and W.S. Newell did a fantastic job. 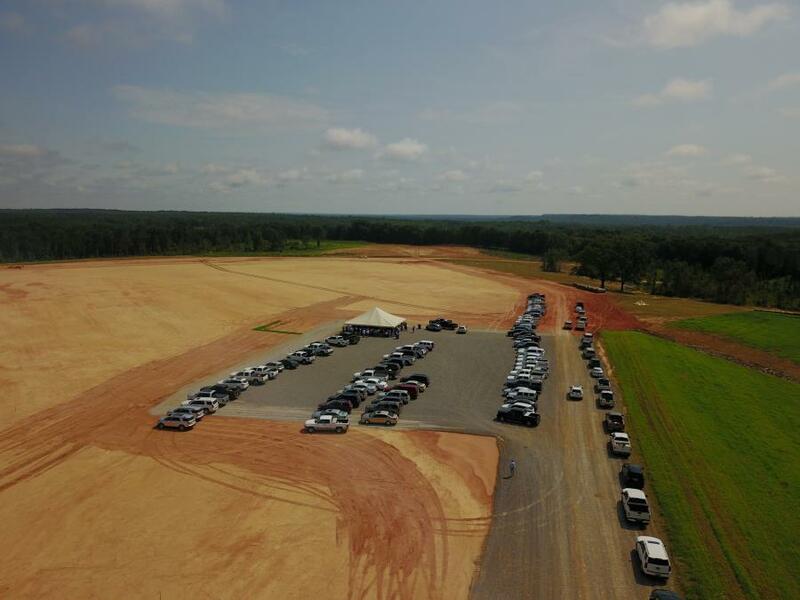 They moved about 750,000 cubic yards of dirt very quickly and efficiently and they created a 71-acre flat table site with a three percent grade. The way they mobilized and moved such a large amount of dirt in a short amount of time, along with quality checks, was nothing short of amazing. When we put out our bid packages, we had at least one company decline to bid because of the time frame — they didn't have the manpower and equipment to meet our accelerated timeline. Trucks, picking up logs at the re-load facility, will be able to take the industrial access road to the mill's main entrance. A crane will be installed to pick up the logs and place them on a conveyer belt system to enter the plant. Rex Lumber makes it a point to fully utilize natural resources. Green sawdust will be used to fuel the kiln operations, while green wood chips will be sold to paper mills, the bark to mulch operations or to use as fuel and the dry shavings will go to pellet mills. The continuous kiln operation has heat transferred to the kilns. Banta stressed that the design of the plant was well thought out to maximize production and energy efficiency. 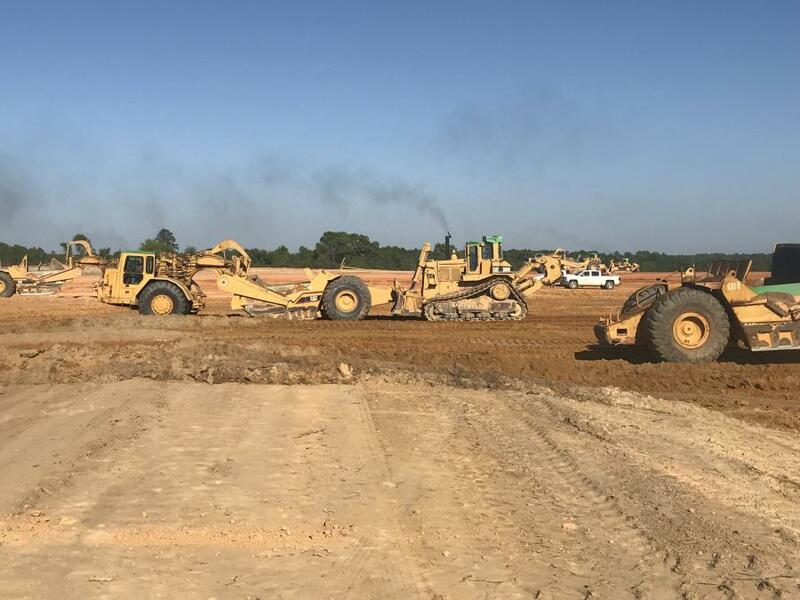 Alabama-based CDG Engineers & Associates Inc. is responsible for environmental permitting, site work design and transportation engineering for the project. CDG was instrumental in helping select an appropriate site from within a target area in Pike County identified by Rex Lumber. The project then required Air Permits and NPDES Permits from the Alabama Department of Environmental Management (ADEM). The roadwork, as noted, will support the sawmill's operations. The site originally included an unpaved County Road 7724 that dissected the site, making it unsuitable for large scale development. The Pike County Commission committed to close the road and allow it to be relocated to a suitable location that worked for both the industry and the nearby residents that used it to access their homes and property. “This commitment by the Commission made an otherwise undevelopable site become a very attractive site to Rex Lumber,” said Pugh. Primary access to the site will be along the four-lane U.S. Highway 231 and then along County Road 7714, which was once old U.S. Highway 231. Mike Floyd, W.S. Newell project manager with 39 years of experience in such operations, was originally asked to complete the job in 30 days. The work started on March 24 and was completed May 18. The project was all about equipment, and at peak there were about 40 crew members on site, working 12-hour days Mondays to Saturdays, with a few Sundays thrown in. 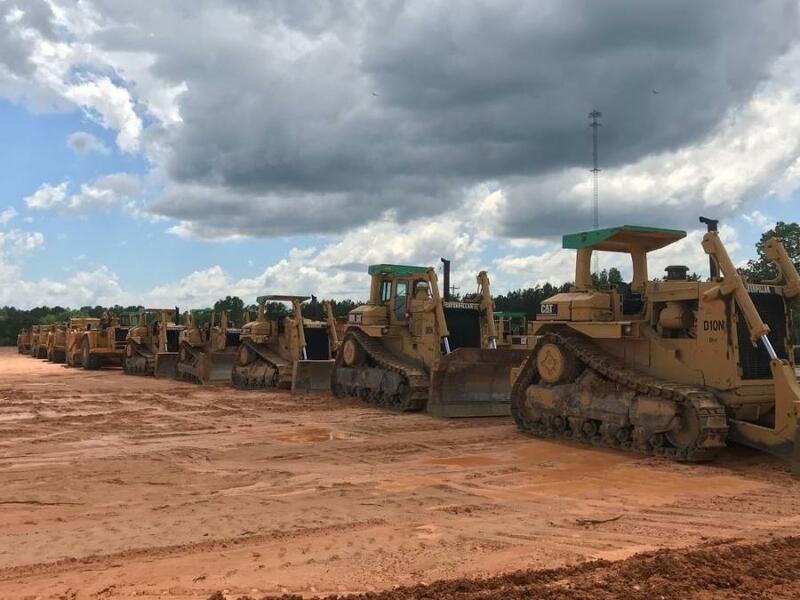 Equipment-wise, this was an all-Cat operation, which had operators using 12 scrapers hauling dirt; four articulated trucks; five excavators; dozers, including two DTN9s, one 8L (with GPS systems) and six D6s; four rollers; and two motorgraders (one with GPS). Floyd had two trucks to haul equipment to the work site, which brought everything there within a week. Once the dozers started clearing the site, other crews could get into action. GPS was essential to meet the specifications for the ground level and grade. “They allowed one inch plus or minus,” said Floyd. “It had to be that exact. It was hard work and we had a lot of people that knew what they were doing — good operators and good foremen. It made our job a lot easier. Weather did not pose a major challenge, save for a week of near constant rain. The quality of the crews made the difference. “All of the guys worked for me for a long time,” said Floyd, “and I knew who was capable of what and made sure that they were in the right place and to get the most out of everybody. It just went smoothly. Everyone was tired, but they put in an impressive effort. I never claim to know everything and I'm open to everyone — I want to hear their opinions on how we can do a better job. The foremen assisting Floyd were Richard Young, Kerry Rogers, Rayvon Henry and Fred Beasley. W.S. Newell purchases its Cat equipment from Thompson Tractor Company Inc. in Montgomery. On this project, Jason Faulkner served as the on-site mechanic, who occasionally brought in help from the shop to deal with repairs. Also onsite were two service trucks to help with fueling and oiling. Thompson Tractor also helped with the maintenance, preparing replacements for hydraulic hoses that burst and sending a mechanic to assist Faulkner at critical times.